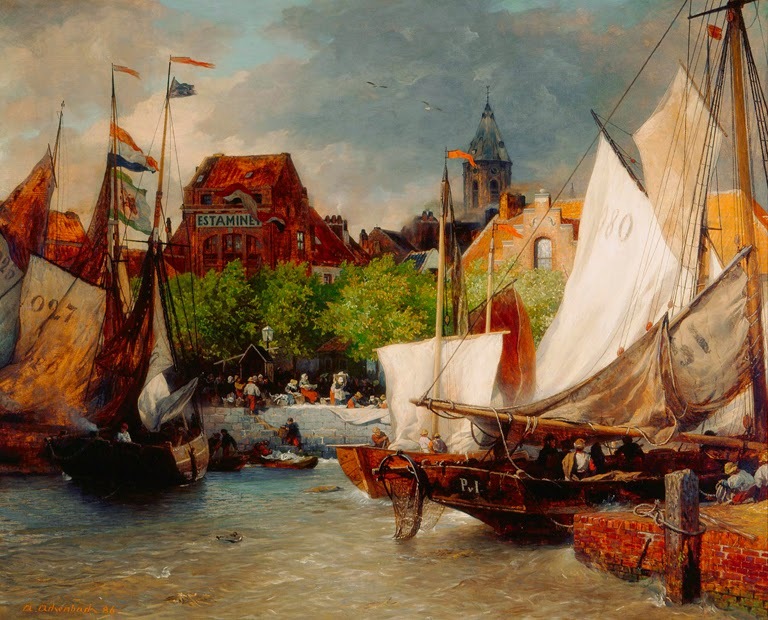 Andreas Achenbach [1815-1910] was a German landscape painter, associated with the Düsseldorf school of painting and born in Kassel. He began his art education in 1827 in Düsseldorf under Friedrich Wilhelm Schadow at the Düsseldorf Academy of Painting. He studied at St Petersburg and travelled in Italy, Holland and Scandinavia. In his early work he followed the pseudo-idealism of the German romantic school, but on removing to Munich in 1835, the stronger influence of Louis Gurlitt turned his talent into new channels, and he became the founder of the German realistic school. Although his landscapes evince too much of his aim at picture-making and lack personal temperament, he is a master of technique, and is historically important as a reformer. He received a medal of the first class in Paris in 1855, and was named a Chevalier of the French Legion of Honor. 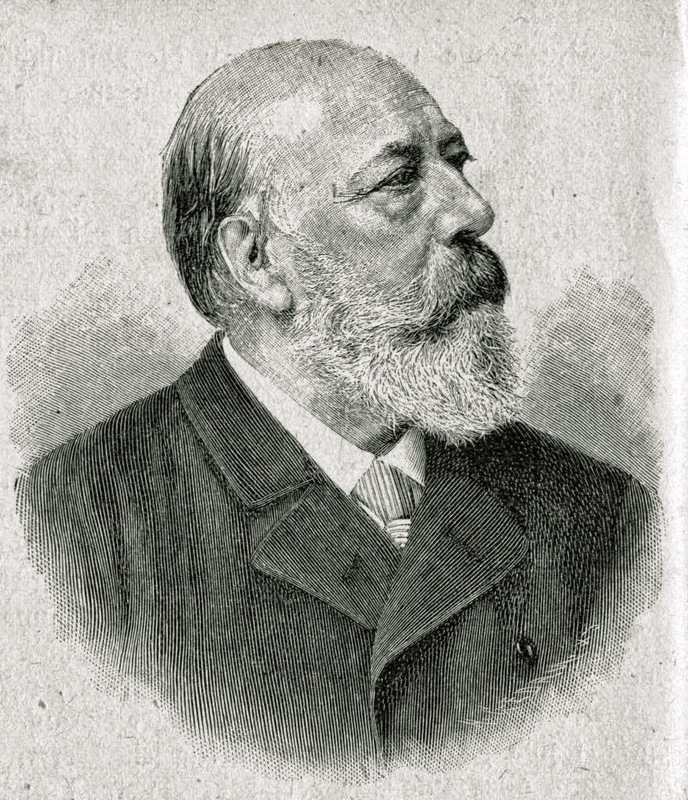 The Chambers Biographical Dictionary says of him that “he was regarded as the father of 19th century German landscape painting”. A number of his finest works are to be found at the Berlin National Gallery, the New Pinakothek in Munich, and the galleries at Dresden, Darmstadt, Cologne, Düsseldorf, Leipzig and Hamburg. Many of his paintings are in galleries in the United States. He died in Düsseldorf.